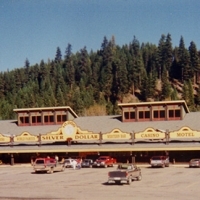 Located 5 miles from the Idaho border, Haugan was founded as a pusher station for trains making their way up the Coeur d'Alene Mountains. Today, Haugen offers abundant hiking, fishing, horseback riding and big-game hunting. Nearby is Savenac Nursery—a National Historic Site and former U.S. Forest Service nursery used to produce seedlings for national forests, complete with interpretive trails. Make a pit stop at Lincoln's 10,000 Silver Dollar Bar—home to silver dollars that reside in the bar top and walls. 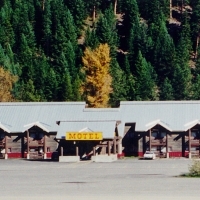 This destination also has a gift shop, café and motel and is a fourth-generation family operated business.